What a month September has been. I have so much writing to do as there is so much to share, from London Design Festival finds to my collaboration with Reed Harris and so much more besides. 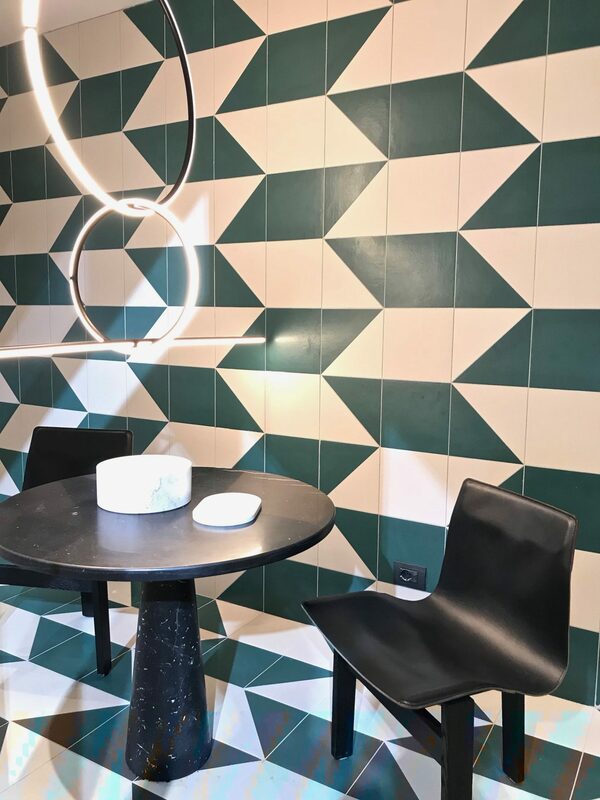 I’ve decided not to try and get it all down in chronological order but instead, I’m going to update you on my week spent in Italy and bring you a tile trends for 2019 from Cersaie report. 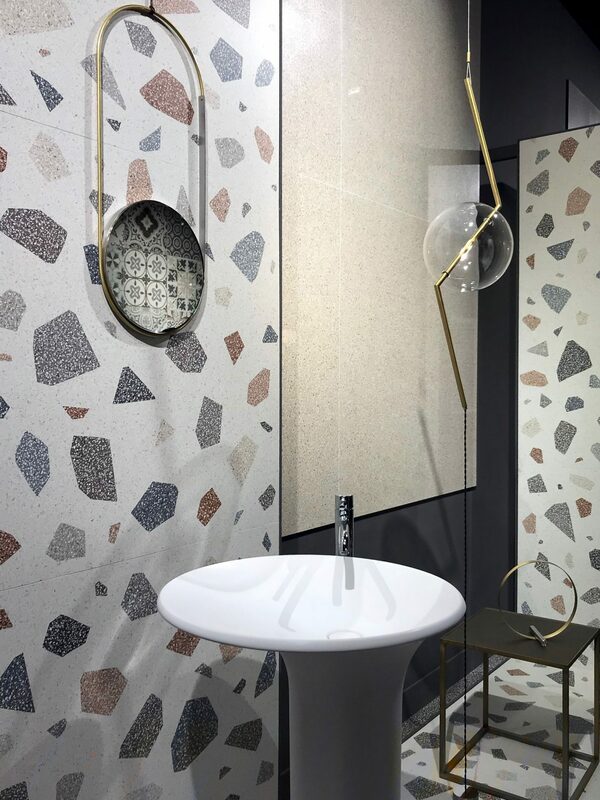 The 36thannual edition of Cersaie, the International Fair of Ceramic Tile and Bathroom Furnishings has just closed its doors in Bologna Italy and I have all the new launches hot off the presses. Going to a trade show where 80% of the product on offer is surface covering is fairly intense if I’m honest, I had to really look hard as the manufacturers often showed products with similar attributes. 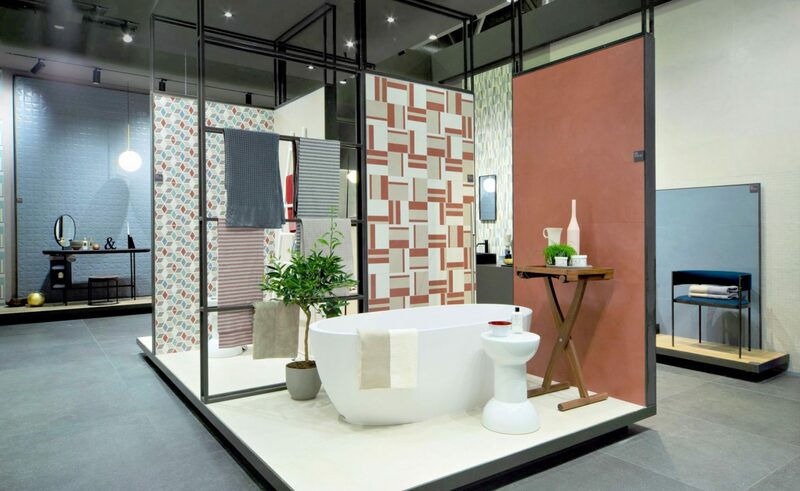 Cersaie is an exhibition by manufacturers and the number of new products being launched and debuted to the world was significant. However, these products in many cases will not be available until beyond spring 2019, just in case you fall in love with them. There was something for everyone, no matter the style or price point. 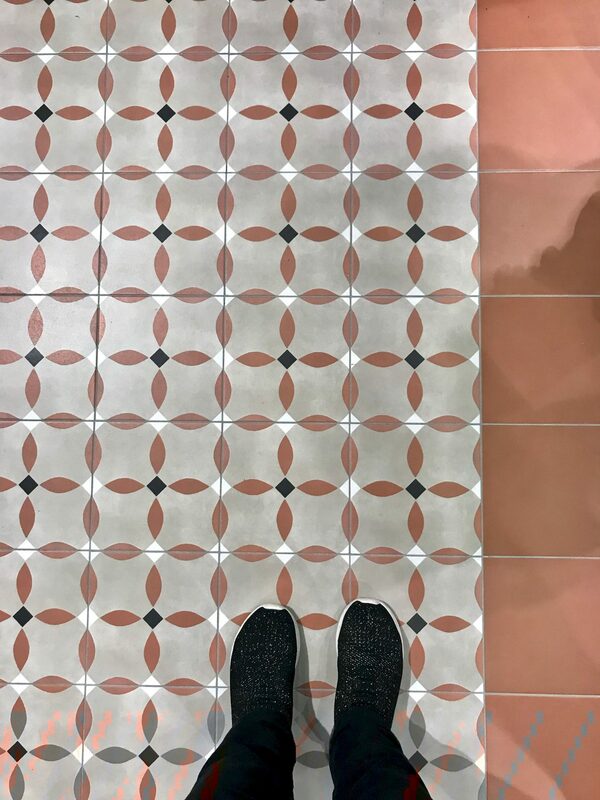 I spent three days exploring the 161,000 square metres of exhibition space, in search of what’s new or just downright gorgeous, and now I can share my tile trends for 2019 from Cersaie. The big news is that technology is enabling two particular trends that we’ll see a lot more of in 2019. 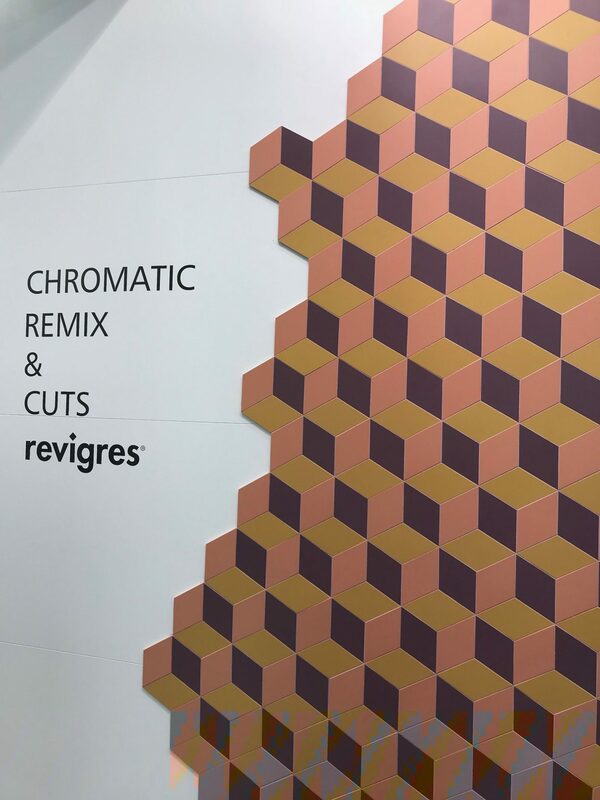 The creative possibilities of digital printing onto tiles is reaching new heights and the ability to produce extra large format tiles which are remarkably thin and therefore lightweight is something that nearly all the manufacturers have taken onboard, combining both advancements has resulted in ceramic wallpapers. The Dark Edition collection of ceramic wallpapers by ABK is available in slabs up to 1600mm x 3200mm with high-resolution digital decoration. 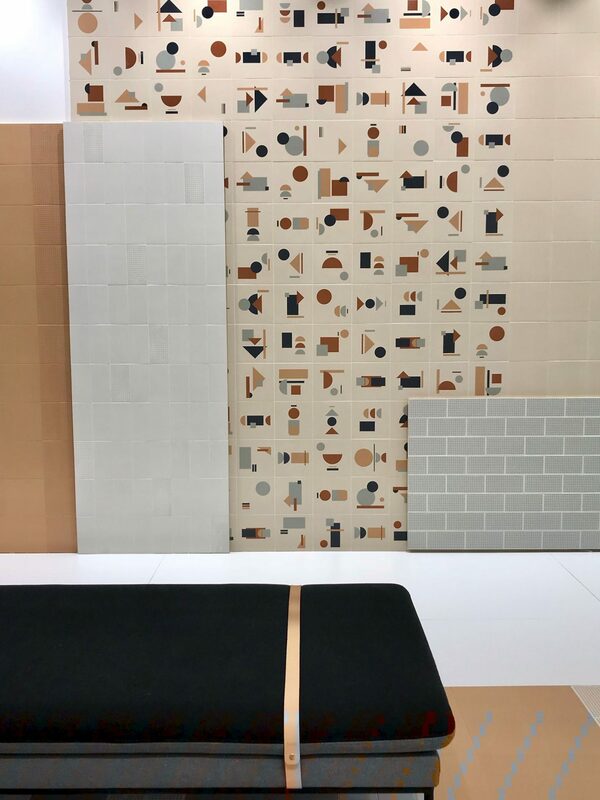 The Italian brand Ornamenta always comes up with creative tile options with modern themed graphics, and this year was no exception. 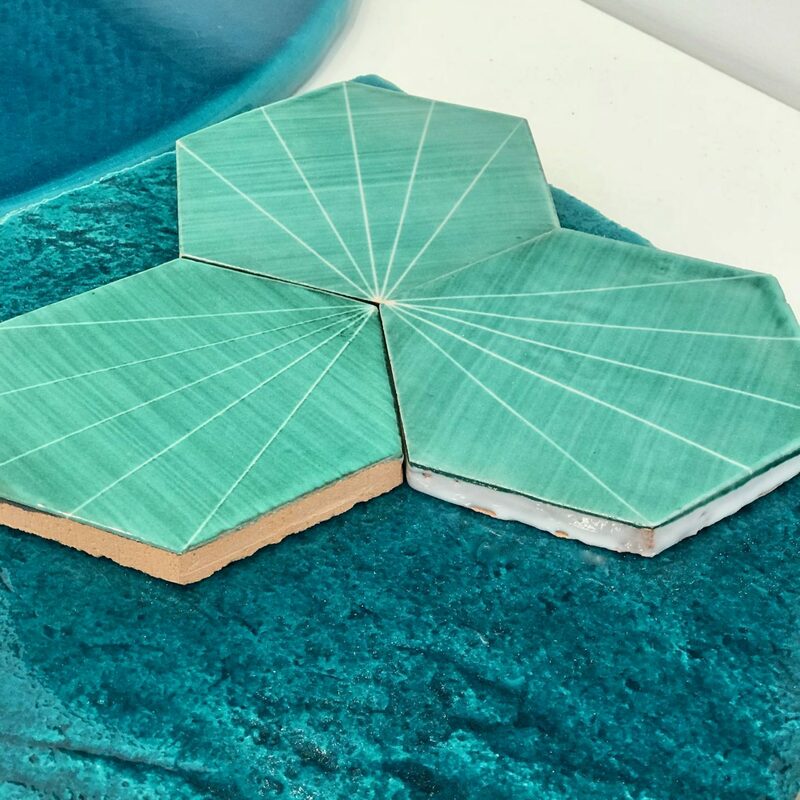 Showcasing a strong and tightly coordinated colour palette, they unveiled Operae their large format tiles, the digital fabrication of which allows for the customisation of the slabs from gradients to ultra patterns. It’s the manufacturing of these huge slabs that convincingly appear nearly seamless, that offer the most arresting wallpaper effects. 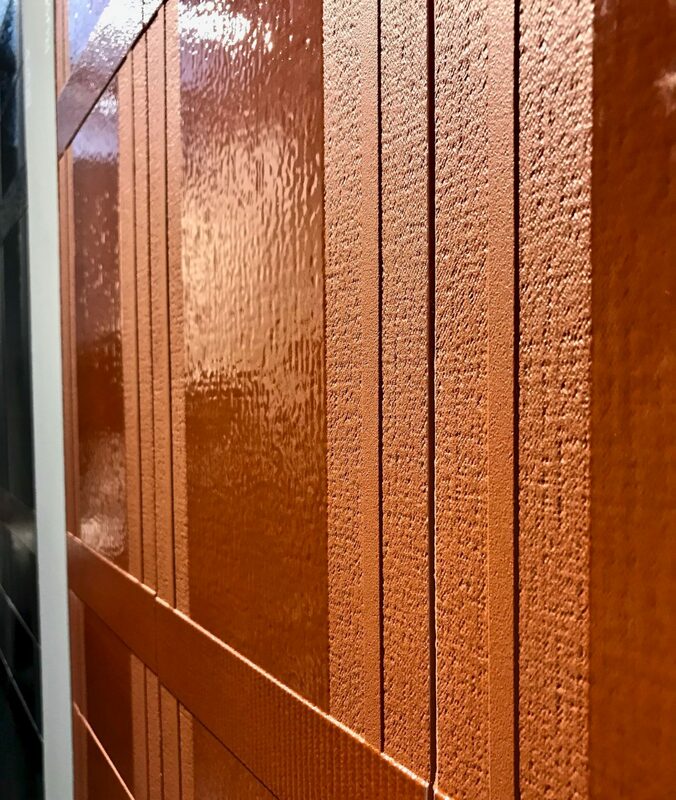 The wallpaper manufacturers though aren’t missing beat on this one either, with both Wall & Decò, Londonart and Glamora showing wallpaper that can be used in fully wet areas like showers, by incorporating resin into their finishing processes. 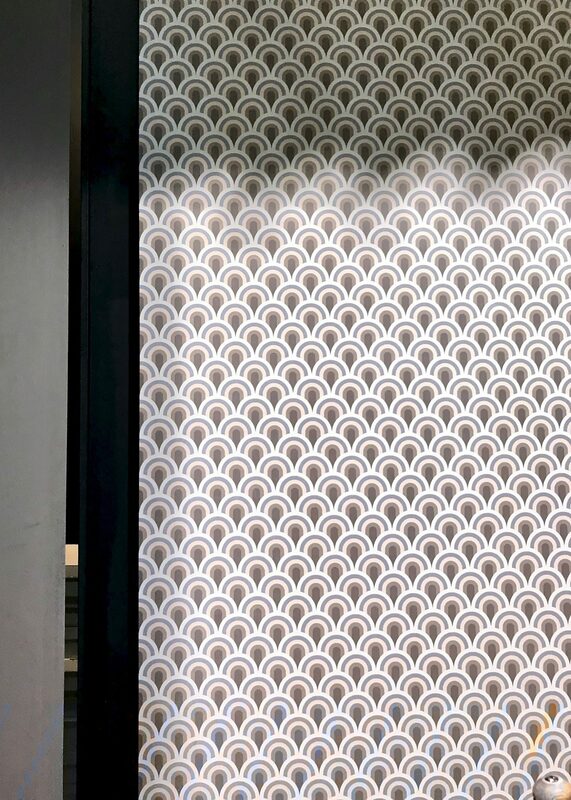 The Wet System by Wall & Deco was drawing a big crowd who were fascinated by wallpaper in a bathroom in their rooms sets outfitted by agape. 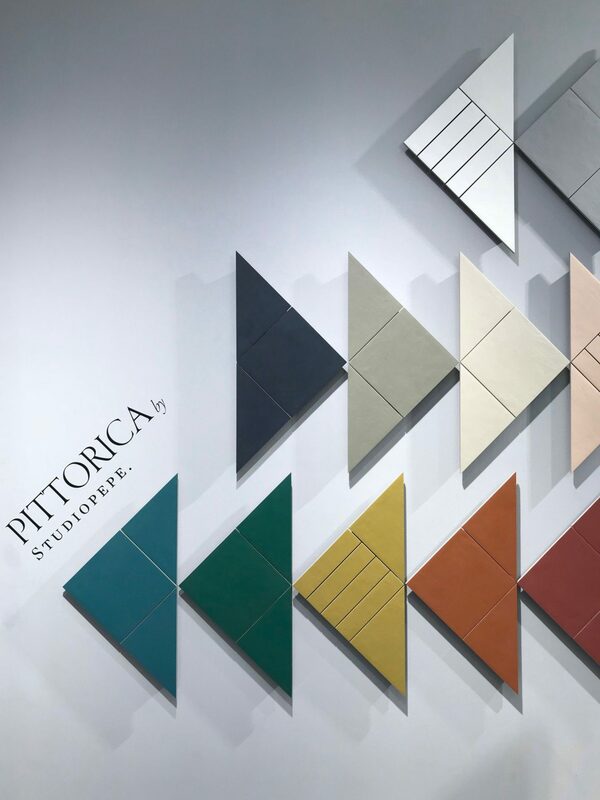 There were still plenty of designer collaborations with Spanish wall and floor tile brand Harmony launching a new collection by Venice designer Luca Nichetto, Ceramica Bardelli’s Pittorica collaboration with Studio Pepe, and also the Lines design by Storagemilano. 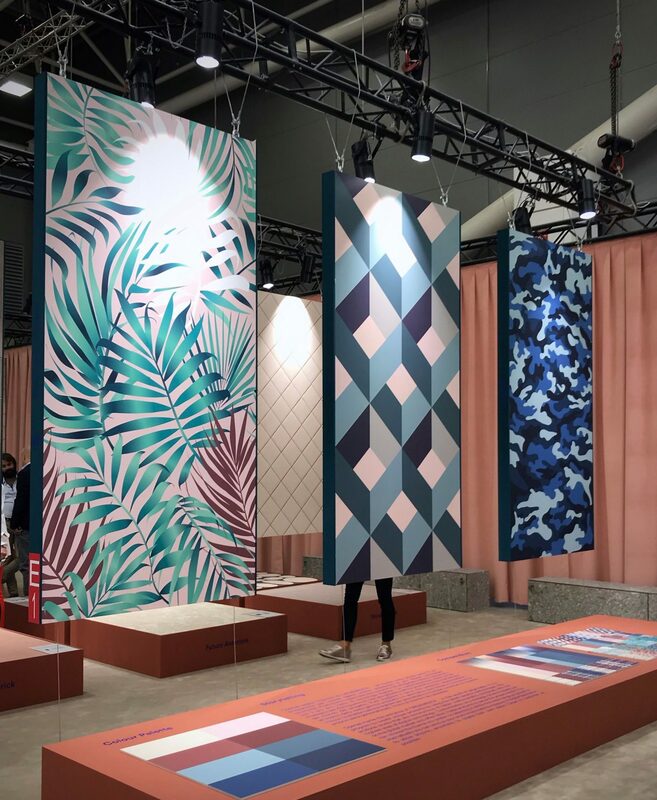 The colourful Pittorice collection was drawing quite a crowd and clearly an Instagram hit too, but that wasn’t surprising from the design studio who wowed at Milan Design week with their colourful Club Unseen installation. Speaking of colour, it’s made a welcome return to the world of ceramics. 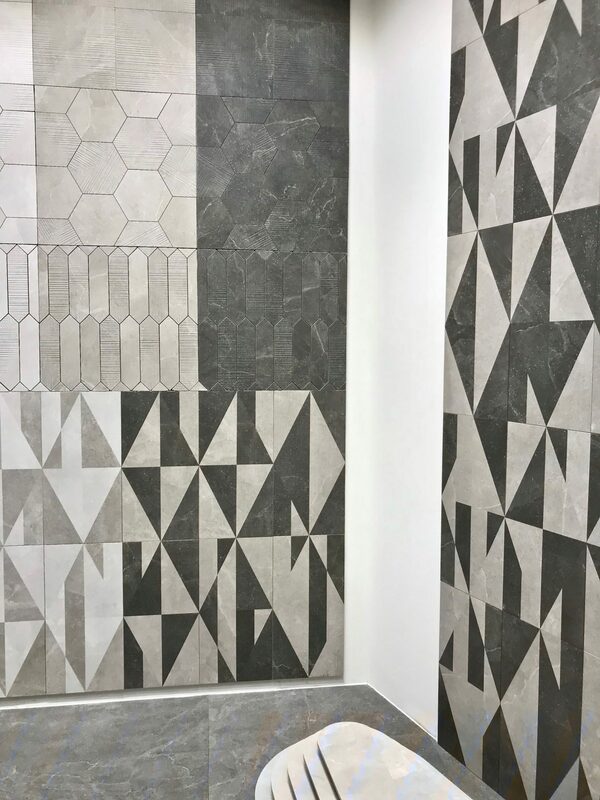 There is still a lot of grey and some remarkable faux marble, cement and stone finishes, but this year, there is vibrancy and boldness to be had, especially at Wow, Ornamenta, Ceramica Bardelli, 41zero42 and TN Corporation. Teal, blue, green, terracotta, rose, and brick red were standouts. Subtle gradient effects were especially stunning, seen at Ornamenta in their Operae collection. 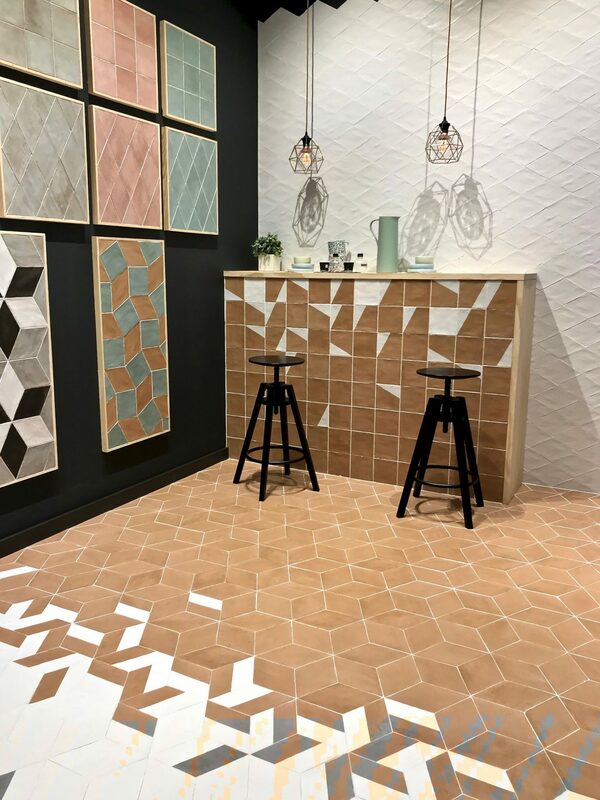 Inspired by traditional Italian cement tiles, Marazzi‘s D_Segni Colore porcelain tiles offered a traditional yet bohemian touch for interiors, I particularly liked their terracotta hued patterns (see below, although they called it Tangerine), which is also produced in a lovely mustard colour. There were sepia tinted colours and patterns with a fifties feel at Aparicia and Fioranese. 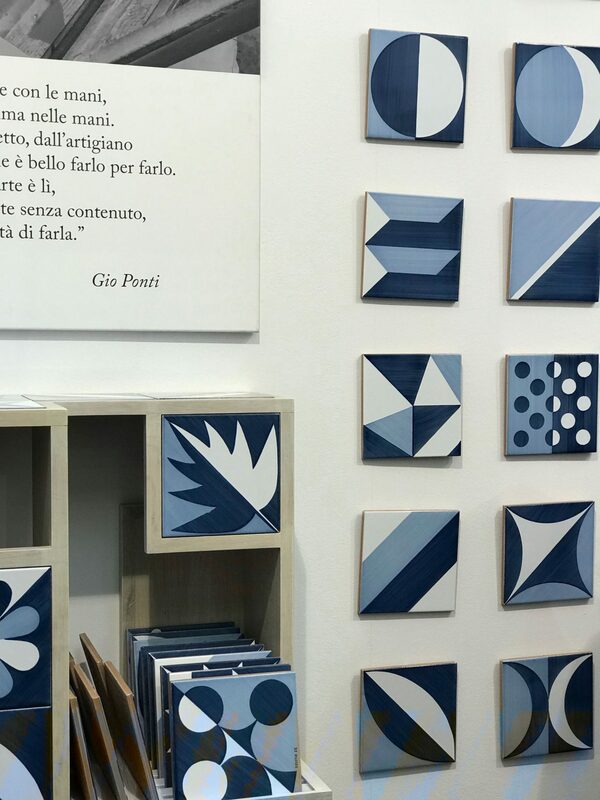 Ceramica Francesco De Maio‘s Blu Ponti collection designed by the father of Italian modernism Gio Ponti in early 1960s for the Hotel Parco dei Principi in Sorrento, while not a new launch, had me rethinking blue and white patterns, as did Ceramica Sant’Agostino. 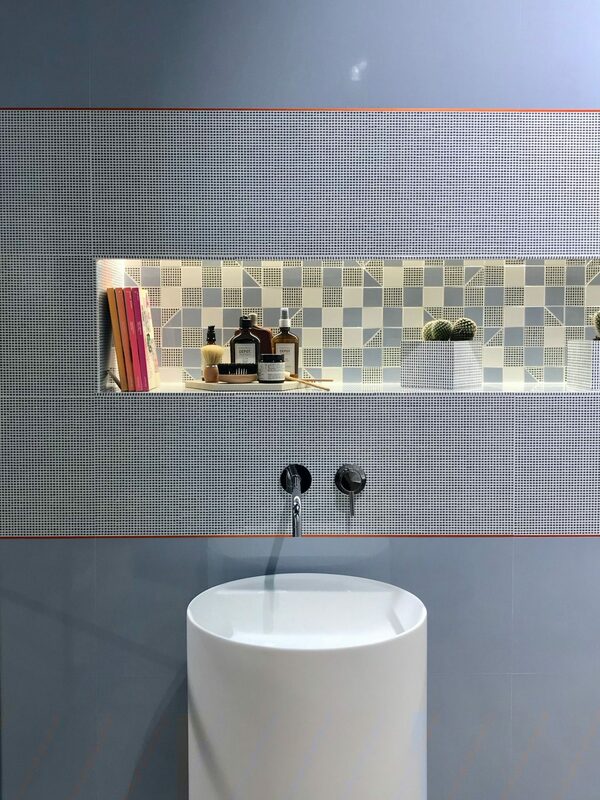 Another company playing the blue and white theme well were Fap Ceramiche, who’s room set consisting of Pat Sky, Pat Deco Blue and Pat Splash Mosaico and Lumina Satinato Orange showed that combining multiple tile patterns and adding trim details brings the greatest interest to the eye. 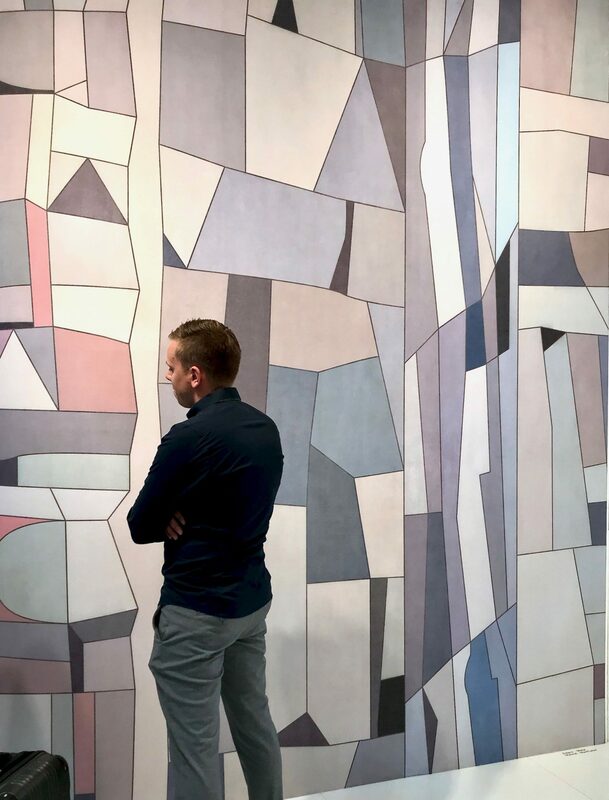 It wasn’t all about colour though, there was also a quiet return to monochrome appearing, the balance of black and white was a good counterbalance to the abundance of colour or the omnipresent grey tones (Emil group, Lithos Gallery, Tonalite and Porcelnosa). 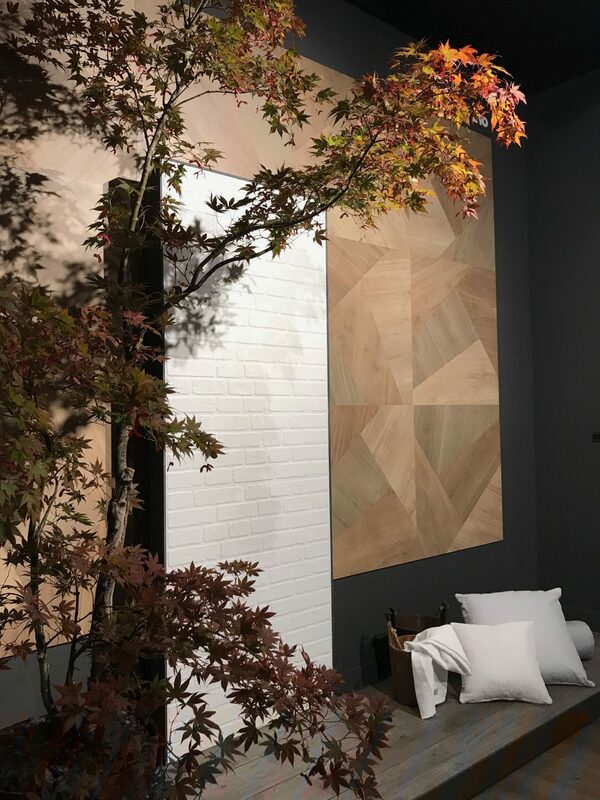 Tile trends for 2019 from Cersaie wouldn’t be complete without mentioning the wood-effect ceramic that was offered by nearly every manufacturer and seems to be a new staple. 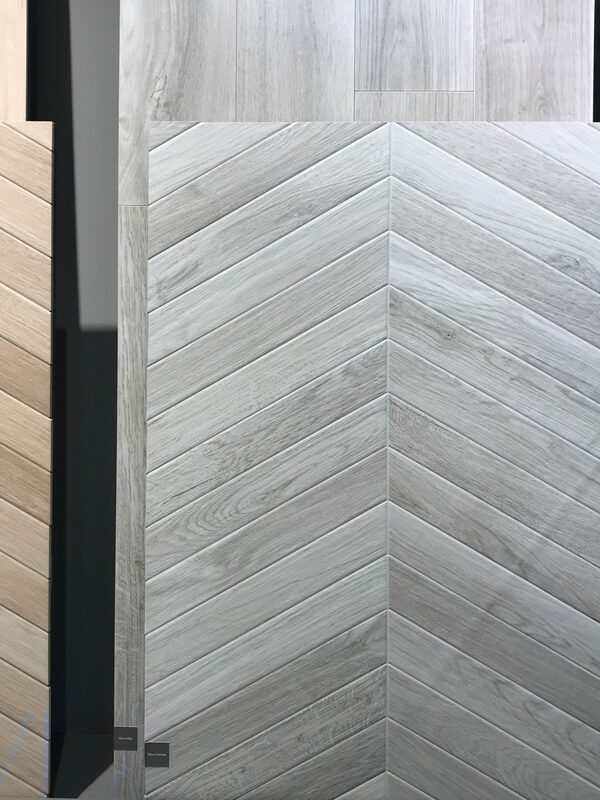 It will probably sit alongside the ever-popular cement effect tiles, white marbles, subtle neutrals, and the dominate grey as an everyday work horse, but a word of caution – not all wood look tiles are created equal. The tonality and grain effects vary greatly and finding a cooler toned “plank” was still a relatively tough task, as was finding darker ebonised effects that didn’t have a burgundy tone to them. 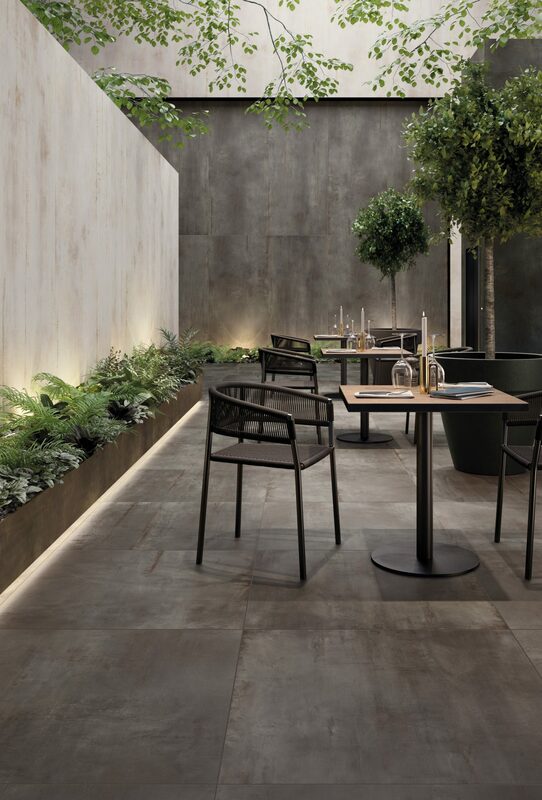 One company delivering on the cooler tones was Fap Ceramiche. 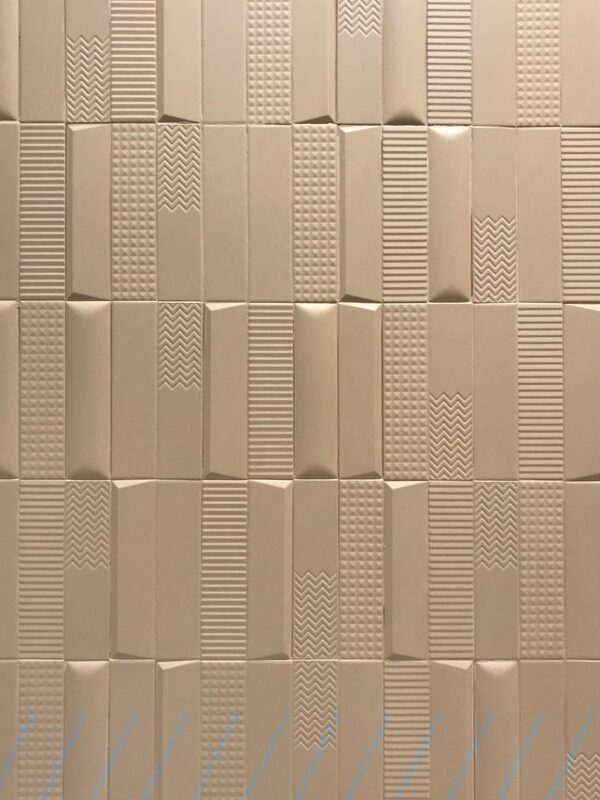 In a bid to move the format of tiles to an ever more interesting place, both texture and 3 dimensional tiles were the watch word for many manufacturers. 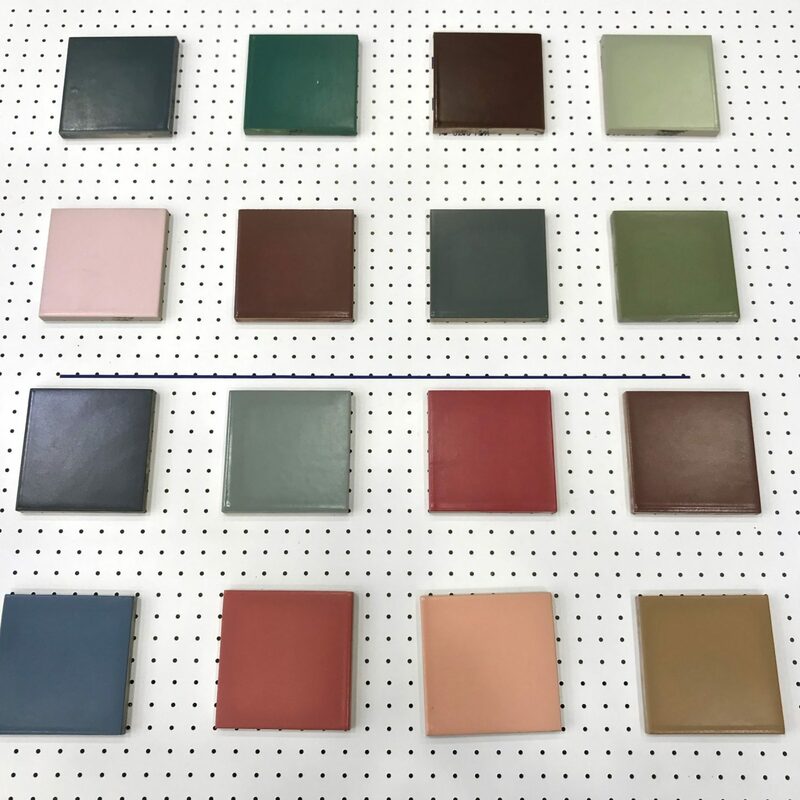 The tactile quality often mimicking the unmistakable touch of an artist’s hand, where finishes and glazes create a soft, sensual effect or replicated a zellige type effect. 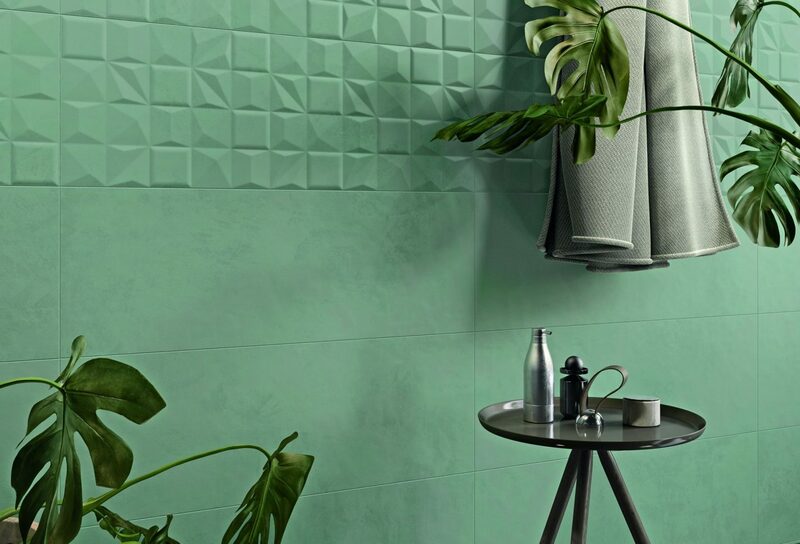 The Shades collection by Ceramiche Piemme, designed by Gordon Guillaumier drew its inspiration from the classic hand-decorated majolica. 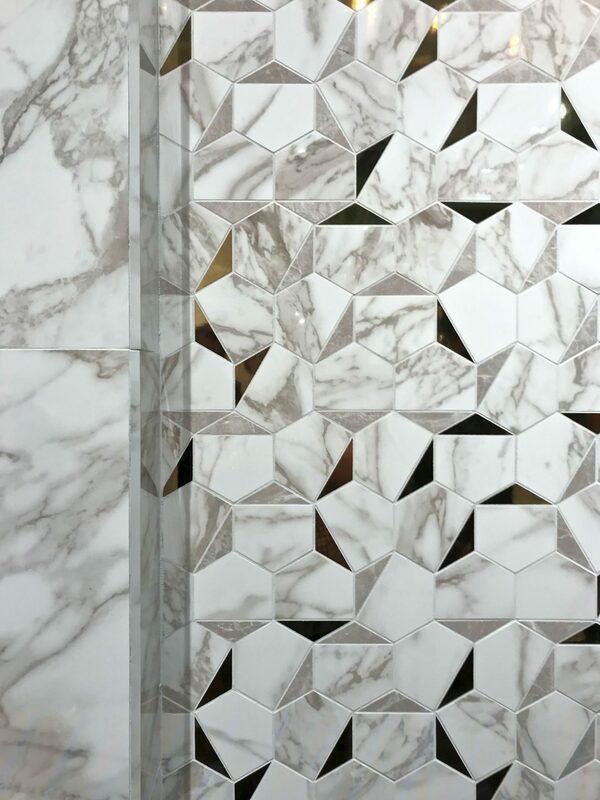 The tiles realistically replicate the delicate and imperfect mark left by the maker’s brush stroke. 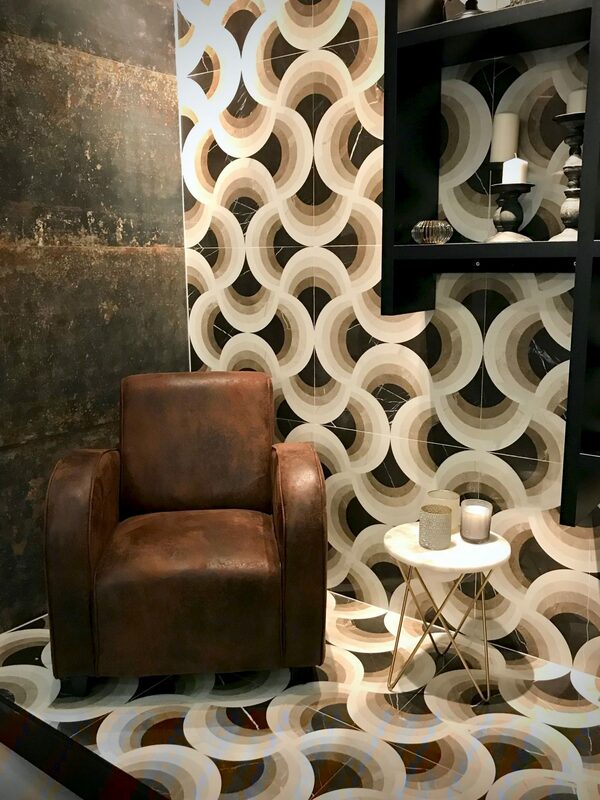 The alternative texture seen repeatedly was a textured finish not dissimilar to a textured fabric, like linen or tweed seen at Decoratori Bassenesi and Fap Ceramiche. Tile shapes were also something I was paying attention too and while I spotted the occasional (and very very beautiful) organic shapes, such as leaves and fish scales, the shape of choice was still geometrical but with a growing fondness for triangle and diamond shapes, seen at Revigres, Wow and Tonalite. Even L shapes were getting a look in at Harmony. I thoroughly enjoyed seeing the launch of some seriously seductive new collections in Bologna and it’s given me a lot of inspiration for the coming year. 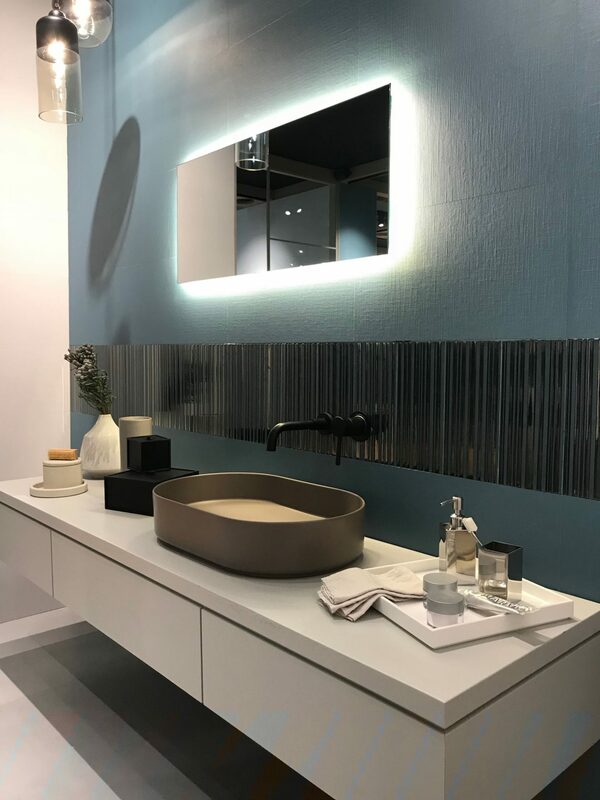 I hope you’ve enjoyed my tile trends for 2019 from Cersaie, I’ll be back with my thoughts on bathroom furniture and brassware in part 2. In the meantime if you’d like to see what KBIS in Orlando had to offer on bathroom trends at the start of 2018 take a look here. 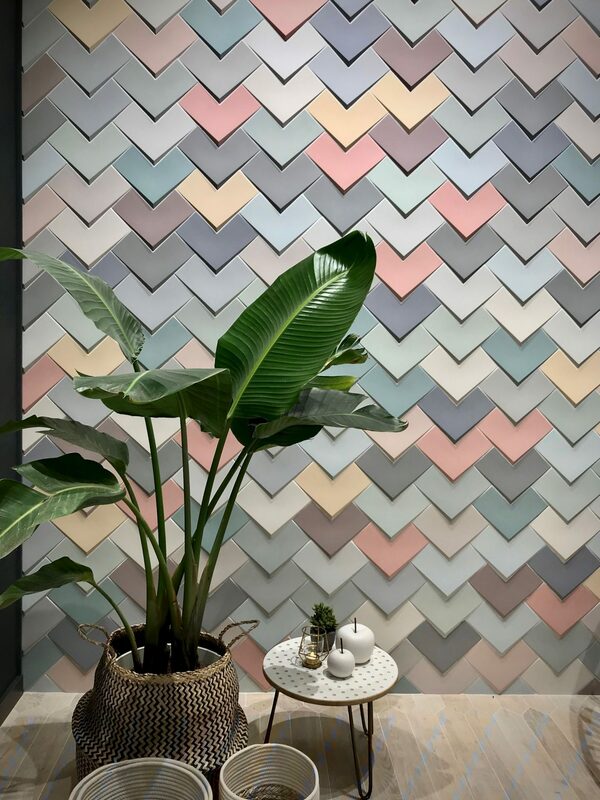 Seriously wow-ed by this – loving the Wow Boho collection and that wall paper by Glamora is just gorgeous. Great Blog and brilliant video Mary ! Such a great post, and loving the videos. So exciting to see how much more creative choice is now available! So many great innovations. I love the large format patterns as they’re so different to anything I’ve seen before. So much pattern! And I like the tridimensional effect as well. Interesting to see the wallpapers for bathrooms. Do you think they’ll become popular? I love the concrete effect tiles and I am weirdly more and more into terrazo! Mary, this is my favourite kind of post. I am obsessed with wallpaper and tiles and to hear that there are manufacturers now making ceramic wallpaper makes my hair stand on end. I absolutely need to visit Cersaie one day. I’ve wanted to go for over a decade so I think it’s about time I sort out a visit. Wow Mary! So much colour and creativity here. Love that your blogs bring us to the forefront of design, showing us things we might not have seen before. 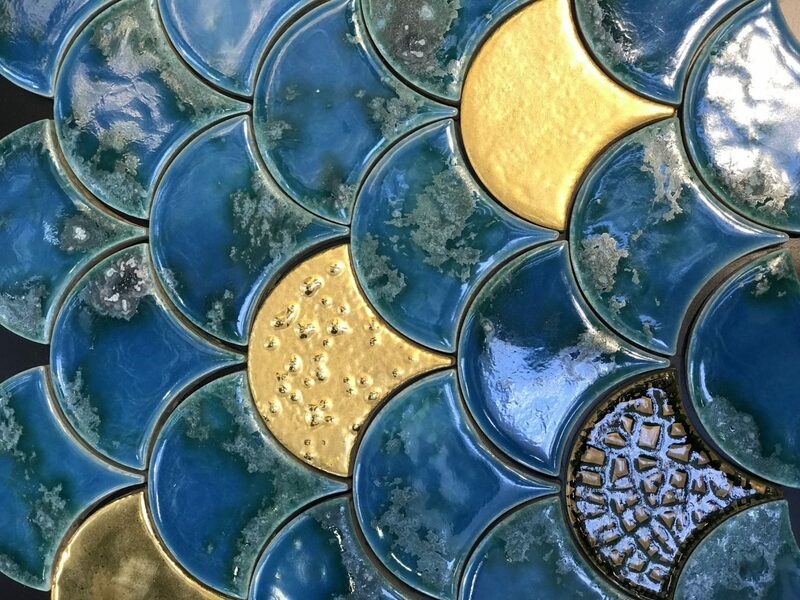 I adore the Ceramica Francesco De Maio’s Blu Ponti collection. 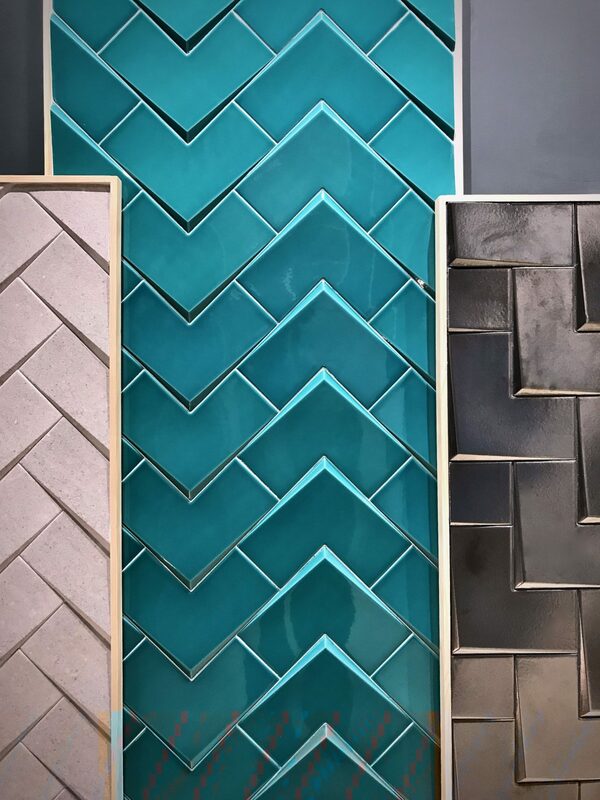 Wow, some truly amazing new tile collections! I love all the colours, designs and textures and wish I could touch these through the screen. What an absolute feast! 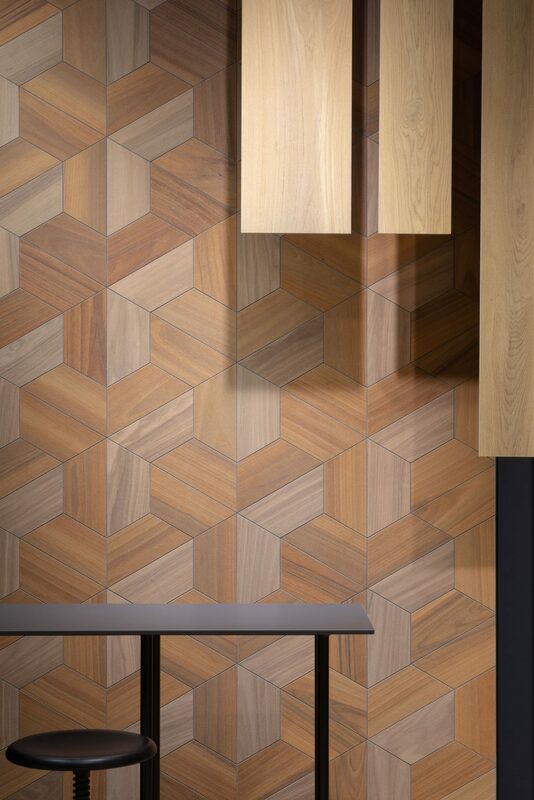 Thank you for sharing such fabulous tile trends – the wood-effect ones look so real in your photographs! Fabulous Mary!! So much to take in with this great post. 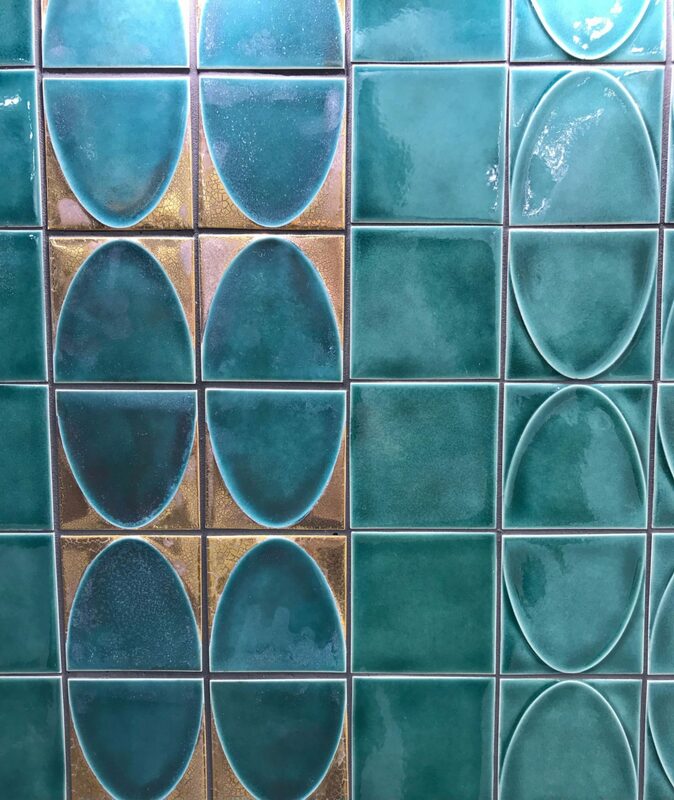 I absolutely adore the textures, patterns and colours from these tiles and to think tiled wallpaper too. Definitely gets the creative juices flowing! No wonder you spent three days exploring… my favourite are the Wow’s new boho collection. Amazing choice and colours here! 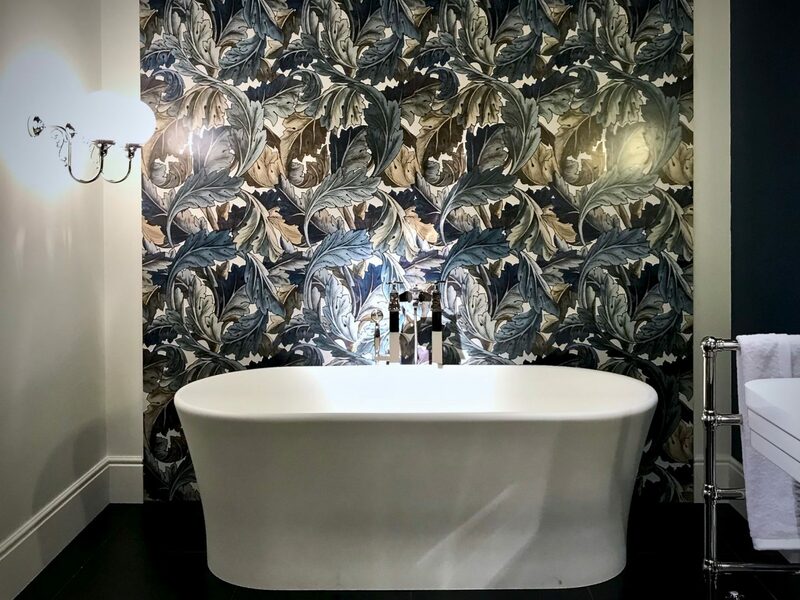 I am considering adding a bit of wallpaper in my bathrooms but haven’t really researched that much so great to know about the above brands as a starting point!